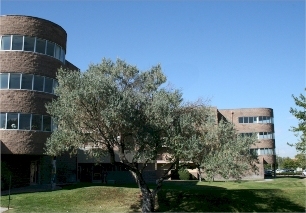 Information about public housing in Albuquerque. Albuquerque Housing Authority offers assistance to low income residents in the City of Albuquerque. AHA receives federal funds from the U.S. Department of Housing and Urban Development (HUD) to provide these services. In this capacity, Albuquerque Housing Authority is the owner and manager of approximately 950 housing units scattered throughout Albuquerque. These units provide decent housing for low income families, the elderly and disabled individuals at rents they can afford. Through this program Albuquerque Housing Authority is currently assisting more than 900 households who have an average monthly rent of $152. The average length of stay in the program is 3.6 years. Thirty percent of Albuquerque Housing Authority's Public Housing participants are elderly or disabled. These families, on average, have annual incomes of less than $8,000 a year, and often have no other source for housing. Albuquerque Housing Authority's Public Housing communities include 373 units designated specifically for elderly and disabled citizens.